Search Results for "in hawaii with sunrise"
Cars driving up and down a curvy road on Haleakala a volcano on the island of Maui Hawaii near sunrise, January 2019. Man walking on the secluded North Shore beach of Oahu, Hawaii at sunrise. Beach sunrise at Lanikai Beach on Oahu Hawaii. The beautiful sunrise at Lanikai Beach is a famous tourist attraction on Oahu. Beach sunset couple walking romantic on honeymoon on Hawaii. Sunrise romance young couple in elegant casual clothing walking together enjoying travel vacation holidays on Lanikai beach, Oahu, USA. 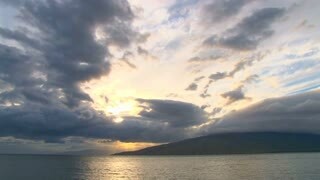 Zoom out timelapse of Koko Head area and Hanauma Bay of Oahu island during sunrise. Hawaii, USA.